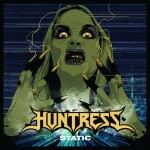 Thanks to the suggestion of listener & “Scoop Cruise” traveler Jessica Votaw, this week we had a nice long sit with Static, the latest album by the metal band Huntress. A revealing work, skirting some personal challenges, Static certainly tests our “mettle” as we analyze it top to bottom (music, structure, lyrics, & all) and express our feelings along the way. Opinions of your own? Comment below! 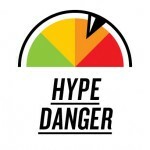 Finally, to close out the episode, at 1:31:56 we step over to our topic: HYPE. 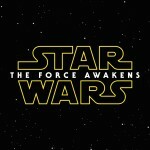 Can’t get enough of that sweet marketing goodness? Or, are you feeling sorely overpumped — just to be deflated in an instant? Let’s cover the pros & cons together, all on the Crash Chords Podcast! Hi guys, thanks so much for taking my suggestion! I was thoroughly impressed with the level of research and enthusiasm you put into this review and I really enjoyed listening to it. While Huntress is one of my favorite bands, I realize that for some they are a band that can be difficult to “get into” at first, so I really appreciate you making the time and effort. I first became exposed to Huntress live, as an opening act for Danzig. I remember being very skeptical, and even rolling my eyes during their first song on stage as I thought how silly and over-the-top they were. But I quickly became drawn in by Jill’s amazing and unique vocals. I quickly became a fan, purchasing their first album Spell Eater, and soon after that their second album Starbound Beast. You had asked during your review if I had a favorite album out of all three. The answer is, I don’t know. I find all their albums to be remarkable in different ways, but what’s amazing to me is that despite the strong differences in each album, the core sound and musicality has remained consistently amazing. I do tend to wear rose-colored glasses when it comes to Huntress so I was very glad to hear what you all had to say. Keep up the great work and thanks again!